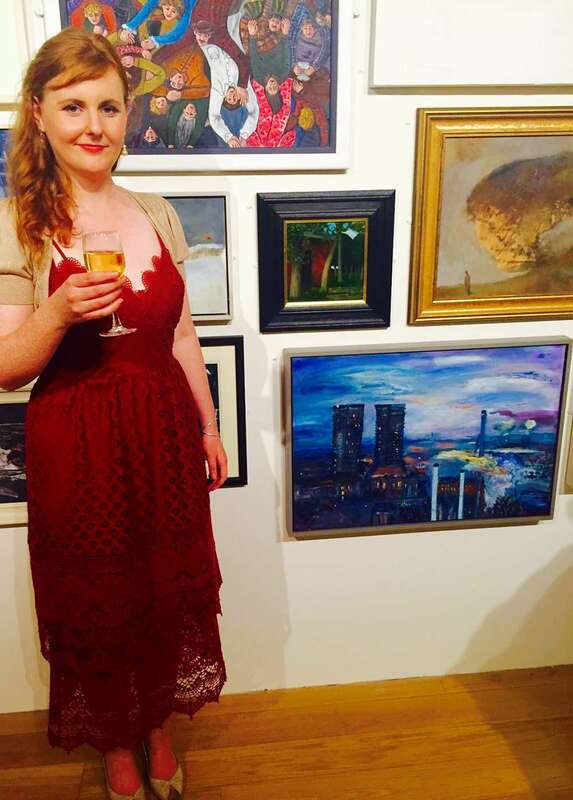 I'm delighted to announce that my painting Gallowgate Twin Towers is currently on display at the Royal Scottish Academy in Edinburgh as part of their annual Open Exhibition. The Bluevale and Whitevale towers depicted have been home to hundreds of residents over the years, and have recently been demolished. In this intriguing short film by Jack Archer, Chris Dakers and Liam Young, some of the final people to live in the towers are interviewed. Faced with crippling housing shortages in the immediate post-war period, it is explained how Glasgow undertook the building of multi-storey blocks on a grand scale throughout the 1960s and early 1970s, leading to it becoming the first truly high-rise city in Britain. Many are now gone with others set to follow in the near future. For me, the Gallowgate Twin Towers were always imposing figures on a skyline so familiar, and watching their disappearance made me think once again about the social history of these Brutalist structures, their legacy and the people who lived their lives inside them. It is a privilege to share these feelings in such a wonderful space as part of a truly varied and vibrant show. From the other work on display, I particularly enjoyed the mundane angst present in Ross McAuley’s etching Self-Portrait In Bed, David Todd’s atmospheric city study Night, and the inherently joyful nature of the mark making in Laura Davis’ lithograph Fields And Stone. 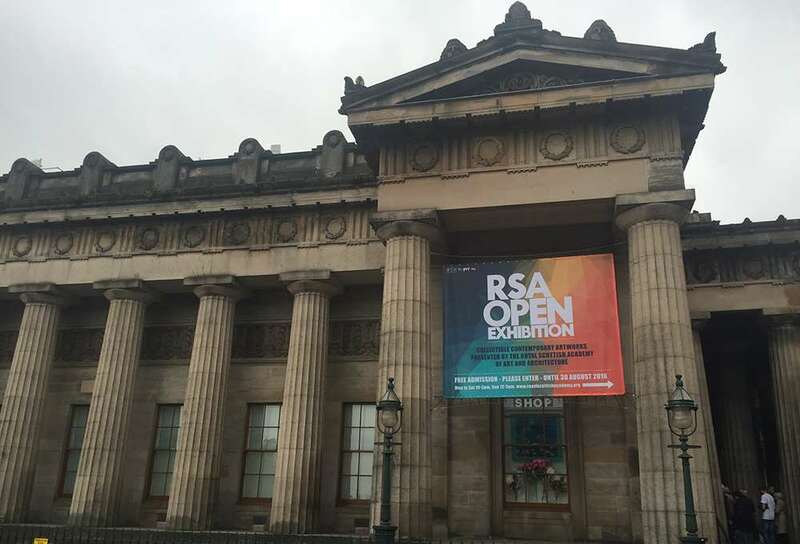 The exhibition runs until the 30th of August so if you find yourself in Edinburgh during that period, pop in to the RSA Lower Galleries and take a closer look.